I recently had a short story, “Crocodile Tears,” published in TSSF Journal. 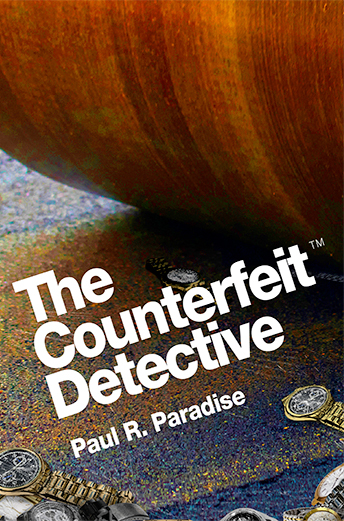 I will be signing copies of my novel The Counterfeit Detective this Sunday at the Brooklyn Book Fair. I will be sitting at the Mystery Writers of America (MWA) booth from 4:30 to 5:30 p.m. The U.S. Customs and Border Protection (CBP) and Customs Enforcement (ICE) agencies conducted 34,143 seizures of counterfeit goods that violated intellectual property coming into the United States from abroad in 2017. This increase may be due in part to increased man power and enforcement by these agencies and represent a ten percent increase from 2016. The estimated value of the goods seized is $1.2 billion. Apparel headed the list of goods seized, especially luxury brands like Channel, Louis Vuitton and sportswear. One of the largest seizure came as the result of the arrest of a New York-based man named Su Ming Ling who had been under investigation for four years for selling $250 million in fake sportswear. Ling fraudulently posed as a representative by use Internet domain names and email addresses that resembled those of real U.S. businesses. Two New Jersey residents were arrested for operating a rogue Internet mail order pharmacy. The rogue site was identified following the overdose death of a victim in Boise, Idaho, on or about March 17, 2017. The victim’s computer showed that he had repeatedly ordered painkillers from the rogue website, and that he had wired thousands of dollars to a bank account in connection with these purchases. Law enforcement subsequently discovered that this bank account was being used by the defendants. Bank records showed that this bank account and several others had received over $750,000 in apparent narcotics proceeds, and that the defendants had withdrawn hundreds of thousands of dollars in cash from these accounts, and had also used these bank accounts to pay for costs associated with the drug distribution operation, including the costs of shipping controlled substances. The defendants were charged on July 7th with conspiracy to distribute controlled substances, including oxycodone, hydrocodone, and more than 40 grams of the fentanyl analogue U-47700, distribution of controlled substances over the Internet, and conspiracy to commit money laundering, in connection with a large-scale drug distribution operation purporting to be an online pharmacy. South Korea has a reputation as a leading counterfeiting country along with China in Asia. 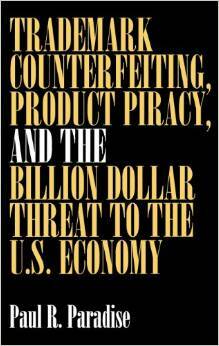 In 2012, South Korea confiscated 57,005 counterfeit goods domestically, up from 5,363 in 2006. The market for fakes in Korea is driven by a ‘counterfeit street culture’—a fake fashion world where hard to find designer brands are counterfeited and sold on the street corners. It’s a real ‘in thing’ in Seoul, the 5th wealthiest city in the world, which is emerging as a fashion capital in Asia. Seoul is young and tech savvy. K Pop is a South Korean style of pop music that incorporates many different music styles including Latin, hip-hop and traditional Korean. I had a wonderful time in Atlantic City on May 10th at NJAC. My presentation went very well and I met many fine people and enjoyed the nightlife. 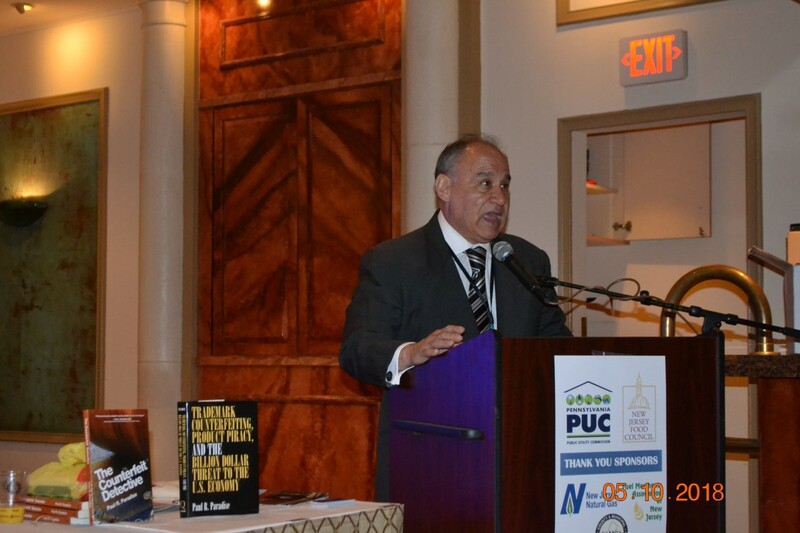 I will be giving a Workshop Presentation [“The Business Crime of the 21st Century”]in Atlantic City at the New Jersey Association of Counties (NJAC) On Thursday, May 10th. NJAC members are elected officials: County Clerks, Sheriffs, Surrogates and their guests. Governor Phil Murphy will be a keynote speaker. A raid by Jamaican police on two stores in downtown Kingston that were operated by six Chinese nationals, five men and a woman, who were taken into custody for selling counterfeit apparel, included well-known brands like Adidas, Nike,and Louis Vuitton, worth an estimated $400 million. Seizures of counterfeit goods are on the rise in Jamaica. So far $600 million in counterfeit goods have been seized in April alone. Last year, the Jamaican Counter Terrorism and Organised Crime (C-TOC) Branch seized $1.9 billion worth of fake goods.